This is the final day of Jr & Sr High Camp for 2012. It has been a week of fun activities, developing relationships and spirit filled worship. The director of this camp said that it is "incredible to have young people show up and watch as God moves among them. It is also exciting when kids can verbalize what God is doing in their lives." The pool games yesterday afternoon were wonderful. There was some good hearted competition among the kids who played a variety of games and for me the highlight was the high diving contest. Most campers participated in the events and all had a good time. The campfire was very inspiring last night as people shared their testimonies and and enjoyed the fellowship around the campfire. Lots of tears flowed as campers realized that their time together for this year was coming to an end. The campfire did go late which meant comments this morning for the blog were difficult to come by. This was the best week ever. The talent show was terribly good. I have included the camp picture and wish to thank the Jr & Sr High Director and his staff for all their hard work this week. 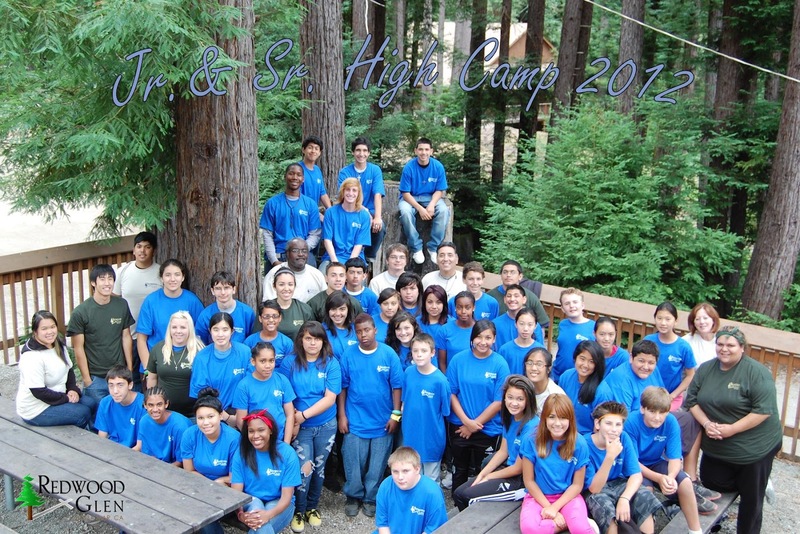 They not only cared for the campers needs but cared for their souls as well. See you next year.